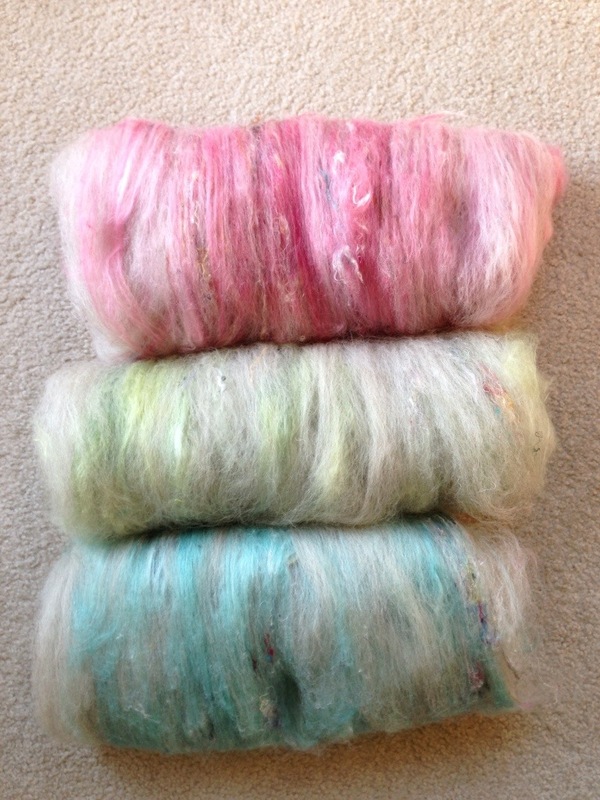 This entry was posted in art yarn, Fleece Processing, Spinning and tagged art yarn, drum carding, Fiber arts, knitting, Spinning, weaving by Leah. Bookmark the permalink. Thank you!! It was fun to spin!! Thank you!! Now I have to find the perfect project for 200 yards of Aran-ish weight yarn. Any ideas? What about a lovely triangle shawI like this one on ravelry – http://www.ravelry.com/patterns/library/198-yds-of-heaven. Not sure if you are into shawls or not but I think your yarn would look wonderful in that pattern! That is perfect!!!! I was looking for a small shawl..I’ll post pix when I start! Yes please do! I’d love to see it finished!! Thanks!! And I think I found the right pattern for it!! What fun! 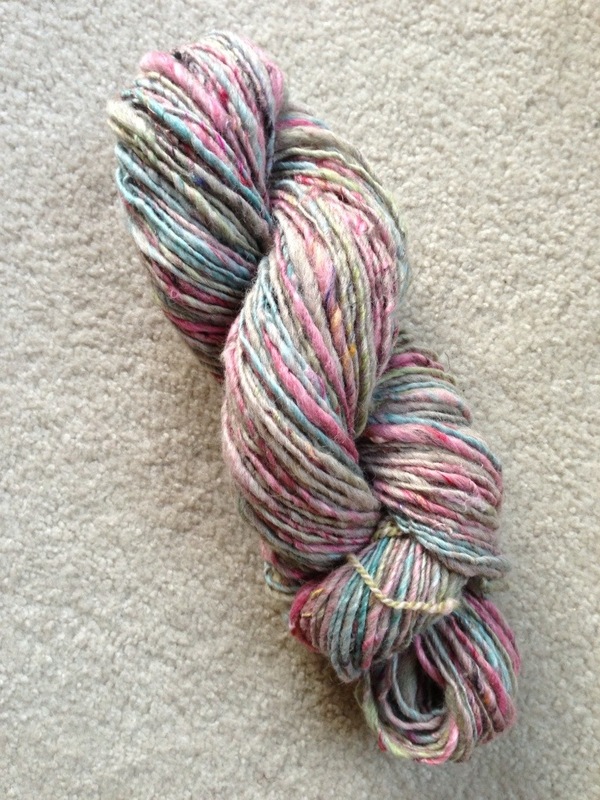 Your batts and yarn look great. Thanks! 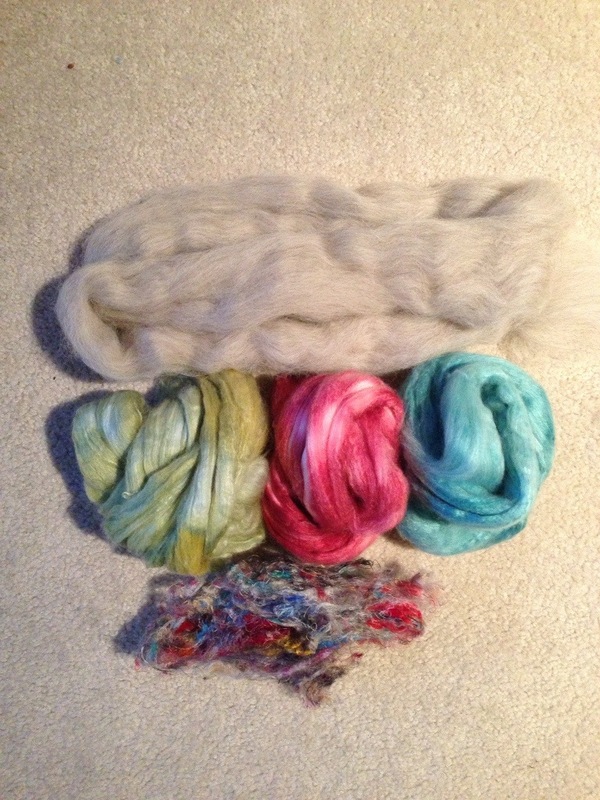 It’s fun to get into the world of being able to replicate (with color) moods or scenes with fiber and then spin it. Looks like cotton candy! LOL I’m loving these photos. That is so true!! You should see it come off the drum carder. It looks like those old pencils that had the fuzzy heads!! Loving the new worlf of spinning, fiber and yarn that I’m finding more and more of these days. Here’s some lovely ‘art bats’ that spin up into wonderful yarns.